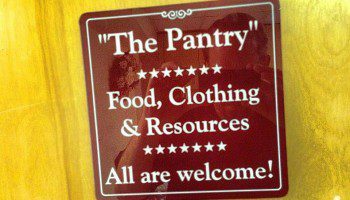 All are welcome to make use of the Pantry for yourself or for someone you know. This is a way to share with each other what the Lord has given to us. 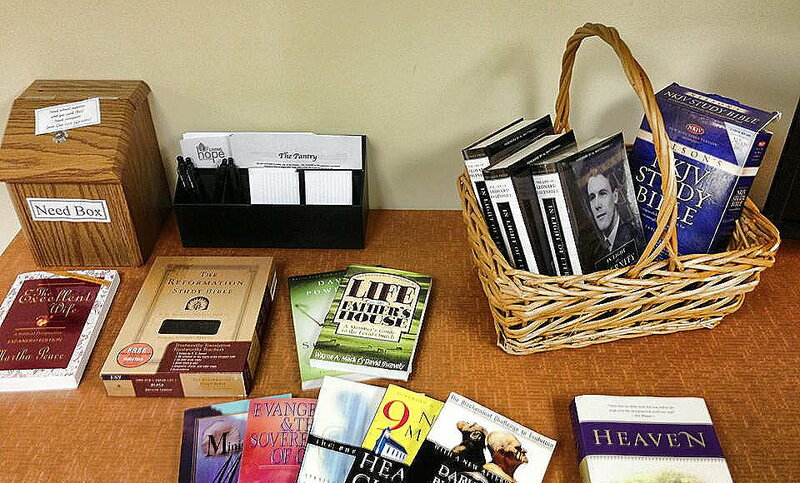 To keep the Pantry neat and accessible, please drop off your offerings in the Fellowship Hall in the designated area. If you have clothing that needs to remain hung, please hang in the coat room area on the main floor in the area designated by a Pantry sign. Please offer items that are in “like new” condition. Please clean all items very well. Please offer clothing that is washed and pressed; modest (in form, fashion, and message); and “like new” condition. 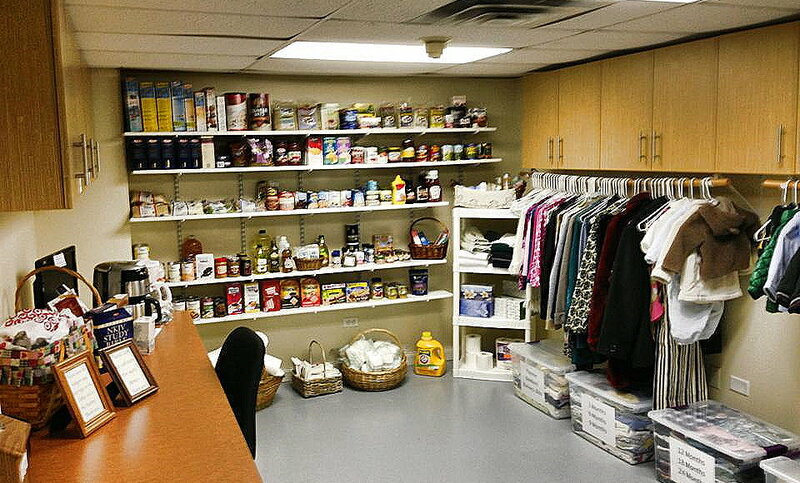 The items will be gone through and those best suited for the pantry will be kept. The rest will be donated elsewhere or discarded. Also, to keep the Pantry neat and accessible, please consider storing items, especially larger ones, at your home and placing a note that you have items available on the designated marker board in the Pantry. 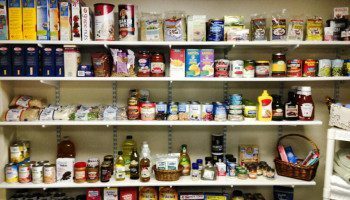 It is hoped to offer commonly used, healthy food items and household sundries in the Pantry. I lift up my eyes to the hills. From where does my help come? My help comes from the Lord, who made heaven and earth. He will not let your foot be moved; He who keeps you will not slumber. Behold, He who keeps Israel will neither slumber nor sleep. The Lord is your keeper; the Lord is your shade on your right hand. The sun shall not strike you by day, nor the moon by night. The Lord will keep you from all evil; He will keep your life. 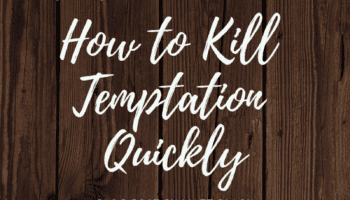 The Lord will keep your going out and your coming in from this time forth and forevermore. I have been young, and now am old, yet I have not seen the righteous forsaken or his children begging for bread. Do you have a major need? If you have specific needs, please write your name, contact information and need on the index card provided and place in locked box. Your request will be handled confidentially. Gas cards and Meijer's food cards are available to members of Living Hope who are in need. Please see a deacon if you are in need.